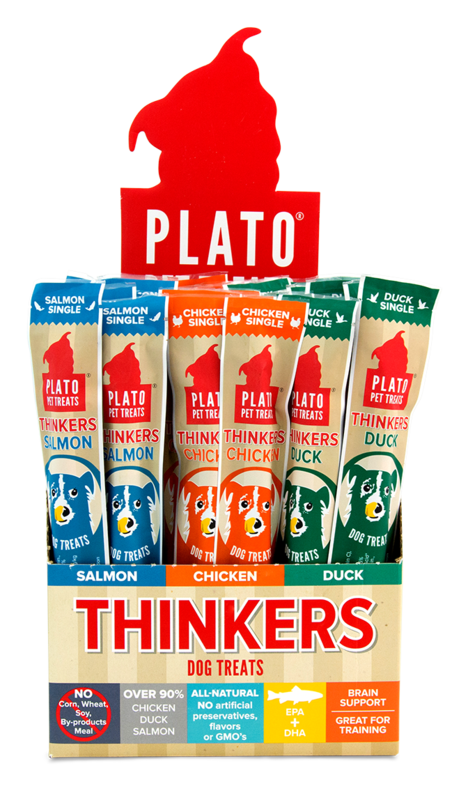 Plato Pet Treats Thinkers are FREE from added sugars, artificial preservatives, by-products, artificial colors, protein-meals, soy, wheat, corn, fillers, and freeze-drying. 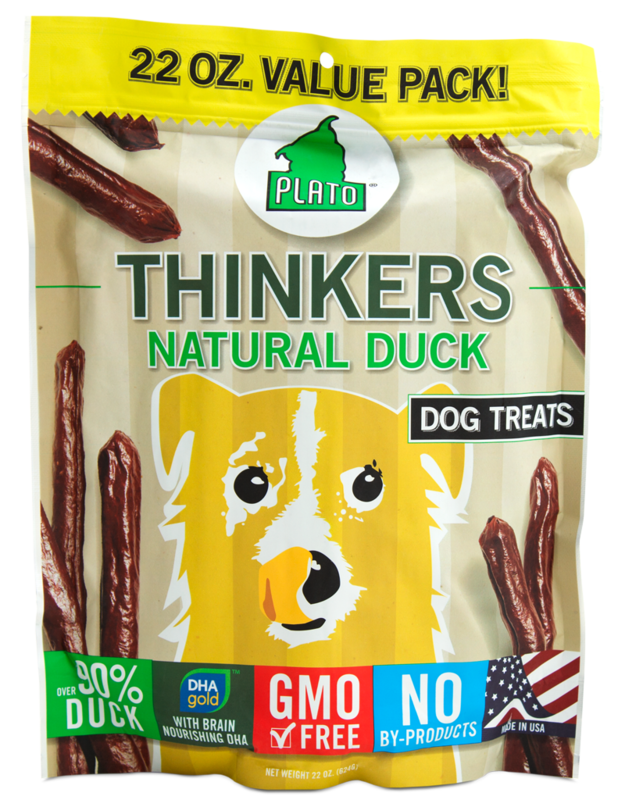 Slow roasted in our own US Facility, these treats can be snapped into pieces for training dogs of all sizes or to share. 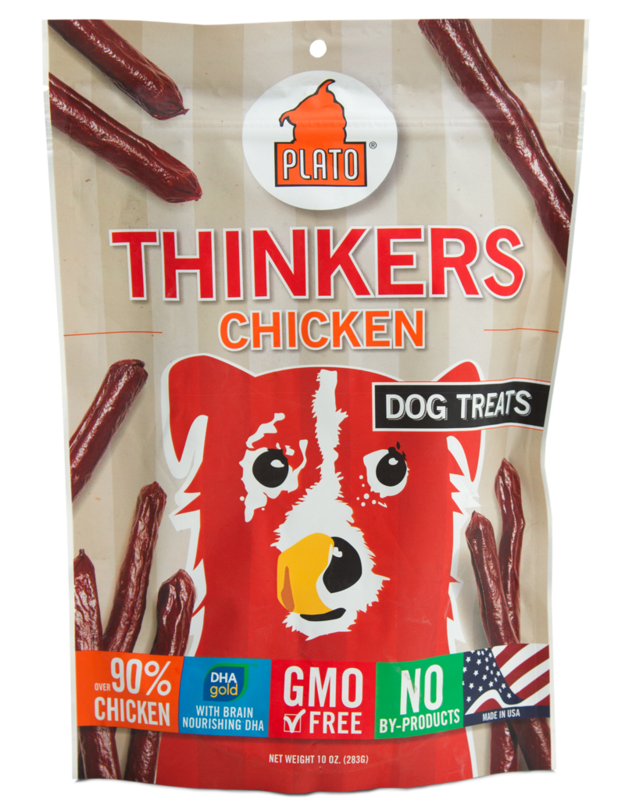 Plato Thinker Sticks are grain-reduced with gluten free brown rice being the only grain ingredient. 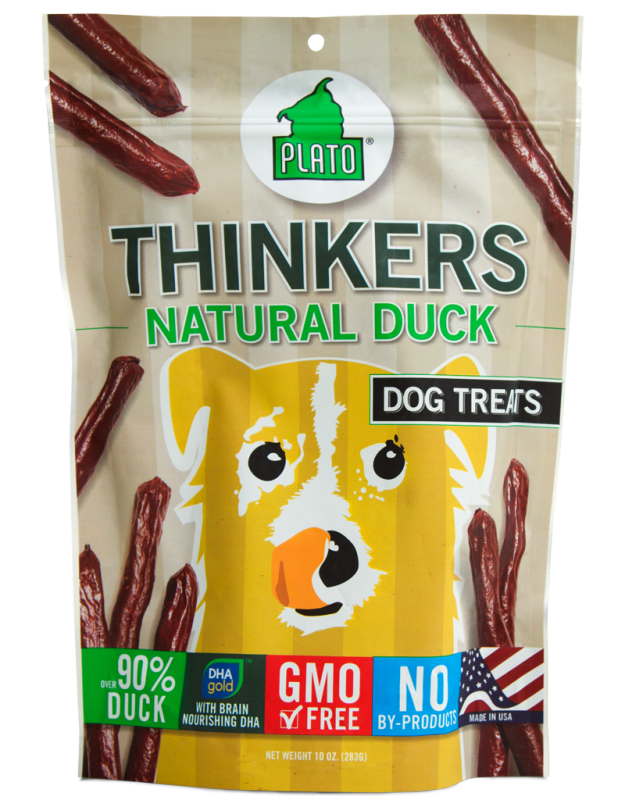 Brain-nourishing natural DHA and EPA helps support brain function in your dog. 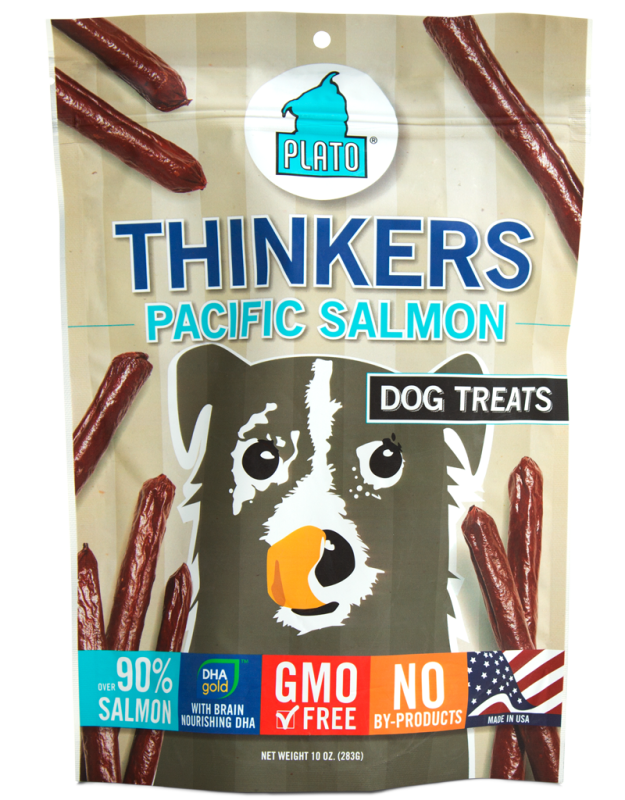 Flavors include pacific salmon, duck, chicken are available in 22oz, and 10oz bags or a single 1.2oz serving. Salmon: Salmon, brown rice, salt, zinc propionate, fat product (source of DHA), mixed tocopherols (preservative), citric acid, rosemary extract, vitamin E supplement, L-ascorbyl-2phosphate (source of vitamin C), vegetable glycerin, collagen casing. Chicken: Chicken, brown rice, salt, zinc propionate, fat product (source of DHA), mixed tocopherols (preservative), citric acid, rosemary extract, vitamin E supplement, L-ascorbyl-2phosphate (source of vitamin C), vegetable glycerin, collagen casing.